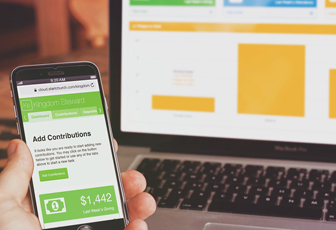 financial reporting power back at your finger tips. With Management Suite™, legal compliance has never been so easy. Using easy to use, self-paced software, legal protection is available to every church in America. Your days of overpaying taxes, or being lost on how to report proper taxation are over. The Management Suite™ puts the power to lead back in your hands. Leading a growing ministry is never easy. But with the Management Suite™, you will have the resources to succeed, right at your finger tips. When you look at the number of state and federal regulations that govern the way churches and ministries conduct their business, it is no wonder why CPA firms charge thousands of dollars to do nonprofit compliance audits. Between the years 2012 and 2014, over 250 changes in the law occurred. The vast majority of churches have been left completely unaware of these new changes. Our newly released version of Management Suite™ walks you though a 53 step nonprofit compliance audit so that you can rest assured your ministry is able to withstand the scrutiny of an audit. The Management Suite™ is one of five suites included in our StartRIGHT Service. By purchasing the StartRIGHT Service, you will be given access to Minutes Suite™, Policies Suite™, Tax Suite™, Launch Suite™, and Exemption Suite™. In addition to the software, you will also get FREE clerical services that will put a consultant to work for you filing all your paperwork. That's right! We will assist you through the whole process! I WANT THE StartRIGHT Service! 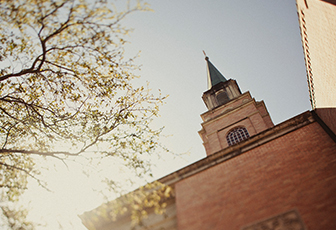 Applying for state tax exemption is an important step in establishing your church or ministry. Depending on which state you live in, it is like receiving an increase of up to 11% in your operating budget. All of the purchases or lease agreements that your church makes exclusively for its own purposes will qualify to receive this exemption. Obtaining insurance is one of the most important steps you can take to ensure protection of the people you lead and the resources the Lord has given you. In Management Suite™, you will learn how to get the right insurance and best price. If a minister has a properly prepared, church-designated housing allowance, it has a major impact on the W-2 or 1099-MISC form. The W-2 and 1099 Kit™ asks you the right questions to make creating the 1099-Misc tax forms easy. Simply classifying one as a contractor will not help you, if it's not done according to tax law. Learn what makes one an employee. Churches and ministries must issue 1099-Misc forms to their attorneys and report it in box 7 regardless of the amount paid for legal services.